Jio has launched a revolutionary digital product called JioNews in the form of a mobile application as well as web-based service (www.jionews.com). The app is available on both the Google Play Store & Apple App Store for users to download. The launch of JioNews comes at a time when the nation will be glued to the Lok Sabha and Assembly Elections 2019, IPL 2019, Cricket World Cup 2019 and other major events across India & the world. Users will get the latest news on the move on JioNews. It is a one stop solution for Breaking News, Live TV, Videos, Magazines, Newspapers & much more. JioNews is the millennial way to stay ahead. JioNews offers its users the true power to personalise their reading experience by choosing preferences from 12+ Indian languages. With breaking news every second, 150+ Live News channels, 800+ Magazines, 250+ Newspapers, Famous Blogs and news websites from India and across the world, JioNews brings the best news content as fast as possible. Users can completely personalize their homepage by choosing their interest areas from politics, sports, entertainment, business, technology, lifestyle, fashion, career, health, astrology, financial and many more. With an integrated AI & ML technology, JioNews scans thousands of news sources and brings only the most relevant of the content to its users to consume. Users can also enjoy news on the go with 150+ Live TV news channels which include all the leading and popular TV news channels from across the country. One can also enjoy the latest trending videos across Bollywood, fashion, health, automotive, technology, sports & the list goes on. 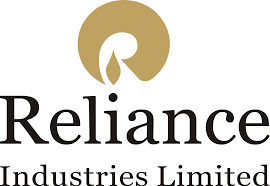 RIL is the first private sector company from India to feature in Fortune’s Global 500 list of ‘World’s Largest Corporations’ – currently ranking 148th in terms of revenues, and 99th in terms of profits. The Company stands 83rd in the ’Forbes Global 2000’ rankings for 2018 – the topmost among Indian companies. It ranks 10th among LinkedIn’s ‘Top Companies Where India Wants to Work Now’ (2019).